Our professional standard rat cage trap has been designed to be both safe and easy to use. 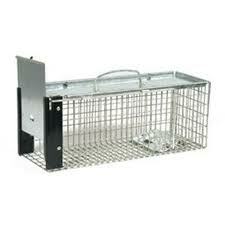 As with most things in life, rat cage traps vary considerably in terms of quality and effectiveness. This rat cage trap has been produced to a professional standard. Its 'quick shut door' mechanism ensures successful trapping and its solid top plate, beneath the carry handle, provides excellent protection from rats when handling.